Top Rated Test Prep Tutors in San Diego, CA! Welcome to San Diego’s top-rated private test prep in-home tutoring service! All of the following San Diego test prep tutors are certified by Varsity Tutors, the leading tutoring agency in the country! All San Diego test prep tutors have been background checked, been interviewed, had mock trigonometry tutoring sessions, and been trained by professionals. 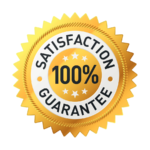 We guarantee you will love your local San Diego test prep tutor or your money back! Get information regarding a top-rated test prep tutor today! Being a student myself, I understand the stress in juggling school, work, life, and studying for exams. This amount of stress can lead students to lose their passion for learning. I am an English Major from the University of Pennsylvania, with a concentration in creative writing and theatre arts. With my study tactics, I was able to maintain a high GPA of 3.7 and score a 2040 on my SATs. My tutoring experience comes from working with high school students in the West Philadelphia area, where I helped them create dramatic monologues that were performed at an arts festival. I also worked as a teacher’s assistant at Northern Virginia Community College where I was tasked with helping various students of different backgrounds and ages improve their writing and critical reading. As a test prep tutor, I will be able to help students in the San Diego area prepare to take their tests with confidence. I will work with the student to help them find the best learning style for them. When it comes to preparing for a standardized test like ACT and the GRE, or exams in the classroom, some students can become discouraged and overwhelmed. They need a little help in understanding concepts as well as learn test taking strategies that can best help them ace their test. My name is Shani Halperin, a Test Prep tutor here in San Diego, CA. I have a Masters in Mathematics Education from San Diego State University and teach math at the local community college. I have tutored students in many academic subjects. I am passionate about teaching and learning how to make learning more enjoyable and fun for my students. In my free time I enjoy trying new cuisine, hiking, and going to the beach. Please contact me if you would like to set up a one-on-one tutoring session. When it comes to class exams and standardized tests, students can get frustrated to the point of pulling out their hair. As a Test Prep tutor, I can provide guidance and support to help San Diego students succeed in making a high score. I will help students improve their test taking skills and uncover learning styles that best suit them. A little about myself. I am a Biopsychology graduate from the University of California-Santa Barbara. I have experience tutoring students in elementary school through college for seven years in various subject areas like math, science, and writing. In my spare time, I like to paint, make jewelry, travel, and try new foods. I look forward to working with you and helping you achieve academic success. My name is Dennis Chen and I am a Test Prep tutor in San Diego, CA. After graduating from Princeton University, decided to help tutor students in the best, most effective way to prepare for exams. Whether it is a classroom exam or standardized, there are ways to internalize information and remember it while doing the exam. I will work to find the best possible study habits for students that will make them less anxious for their exams.